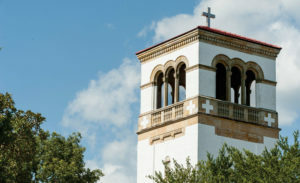 While many of us with strong connections to Saint Leo may know that the university was founded by monks from the Order of Saint Benedict, what may be lesser known are the particulars of what it means to be a Benedictine community. Benedictines are known for lives of prayer, work, and study, as prescribed by the founding monk, Saint Benedict (480-547) of Italy. Also, the work of Benedictines is often practical and tied to the community. Historically, some Benedictine monasteries in Europe were centers for learning and teaching. These factors help explain why Benedictines became involved in starting and running universities in the United States. Benedictines, from their founding days, have also been known for their hospitality, which at the time literally meant sheltering people who had nowhere else to go whether because of economic need or dangerous political upheaval. That persists now as a tradition of providing a welcoming environment for prayer and learning for everyone, no matter what background or affiliation. 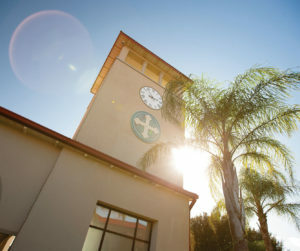 The Saint Leo Abbey Church is an integral part of the campus community. 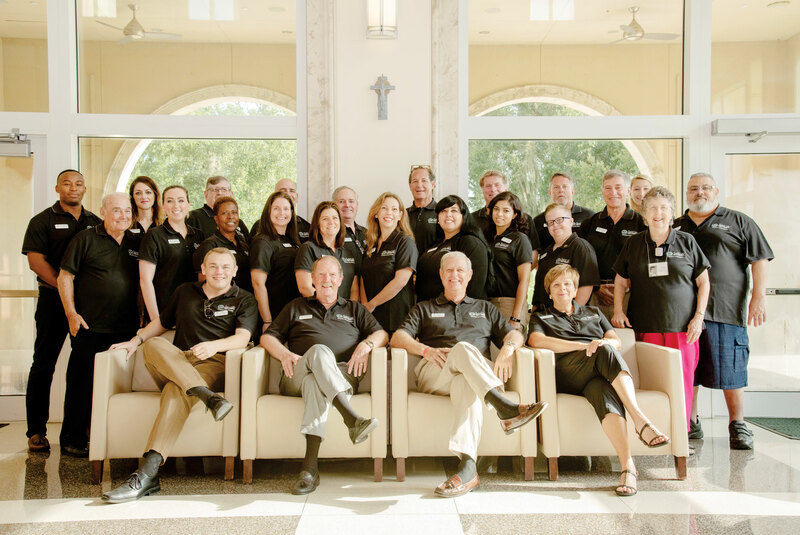 Spiritual support of Saint Leo enjoys a long history, as a Benedictine abbot founded Saint Leo as a college in 1889. A physical representation of this is the beautiful white Abbey Church, surrounded by University Campus. The church remains in the care and ownership of the Benedictine Monks of Saint Leo Abbey. 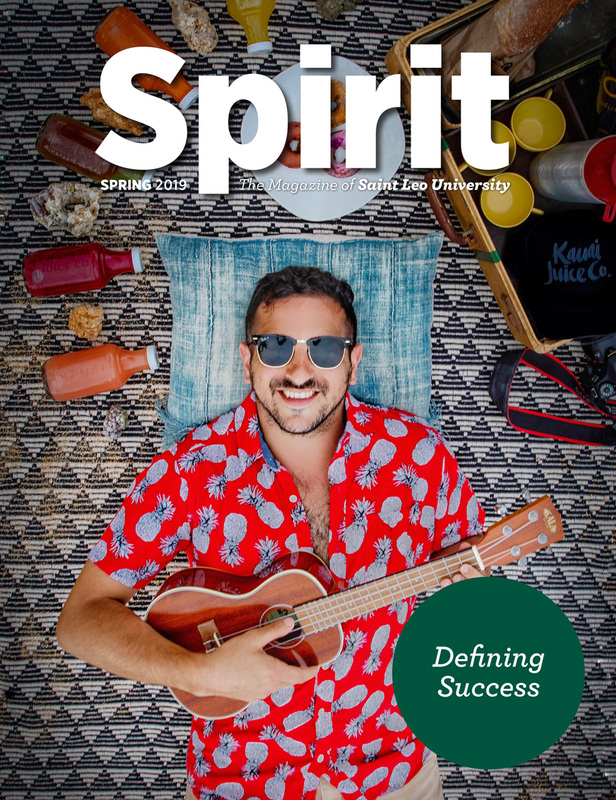 While many community and university events take place there each year, the Mass of the Holy Spirit is one of the most celebrated events, led by Abbot Isaac Camacho, OSB, ’95, for the benefit of the university community at the start of a new academic year. Everyone is welcome in the tradition of Saint Benedict. 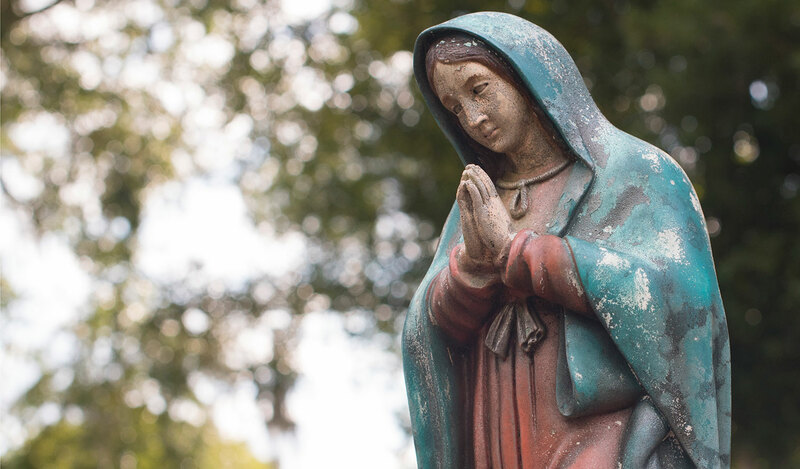 “We believe that every student at the university has the same dignity that God has given to us, as we claim that he is the creator of us all,” explained Abbot Isaac. The abbot and the monastic community also pray daily for all those who work and study at the university, in keeping with being a Benedictine community. 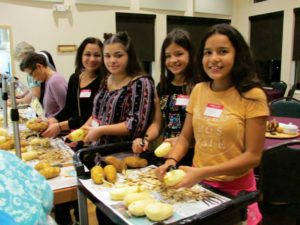 Volunteers help prepare a Thanksgiving dinner with the Benedictine Sisters by peeling potatoes, among other tasks. Today the Benedictine Sisters of Florida have “a different kind of day-to-day involvement” with Saint Leo than in the days when they housed and fed students and occupied other roles at the college level, explained Sister Roberta Bailey, OSB, ’57, prioress. 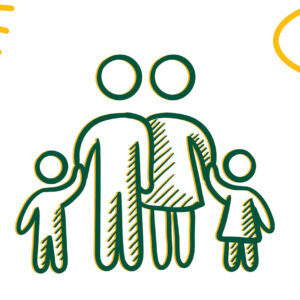 The sisters are involved in a variety of community works, true to their commitment of responding “with the compassion of Christ” to the needs of people. Students sometimes become engaged with the sisters in community projects. 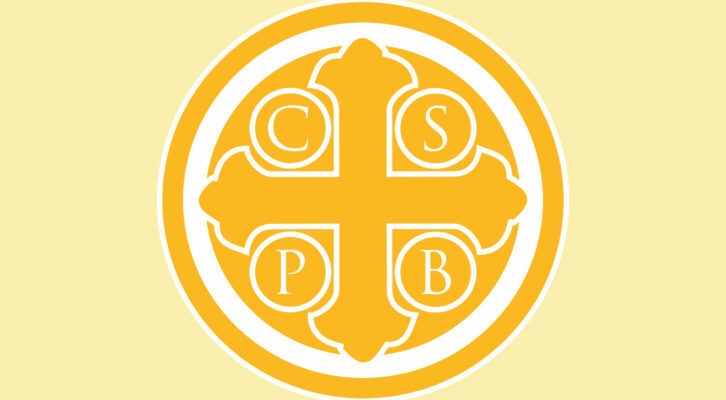 A classic example is a community Thanksgiving dinner that the Benedictine Sisters host with nearby Saint Anthony Parish. Undergraduates in the Social Work Club take part annually in preparations and fundraising. “One thing we pride ourselves on is that we serve real mashed potatoes, so we have to peel 100 pounds of potatoes,” said Sister Roberta. More than 250 meals are served with just more than 100 delivered to people who are homebound. One of the sisters runs Daystar Hope Center in Dade City, where students can volunteer in the clothing thrift shop and food distribution center. Helpers are always welcome in the sisters’ aquaponics project, a self-sustaining fish farm with indoor and outdoor gardens. The Benedictine Sisters are sometimes asked to help with the temporary hospitality needs of graduate international students. And last summer, they provided short-term lodging for a graduate student from out-of-state so that she could attend a weekend academic conference. Her stay affected her greatly. The Cross of Saint Benedict is found on buildings throughout campus as a way to call for God’s blessings and protection.